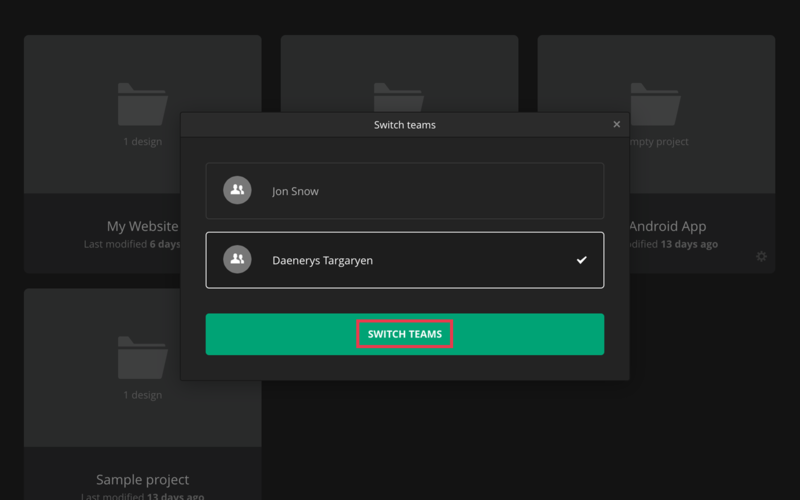 You can quickly switch from one team to another. You can only choose from teams that you have created or you're a part of. You can be a part of multiple teams in Avocode. 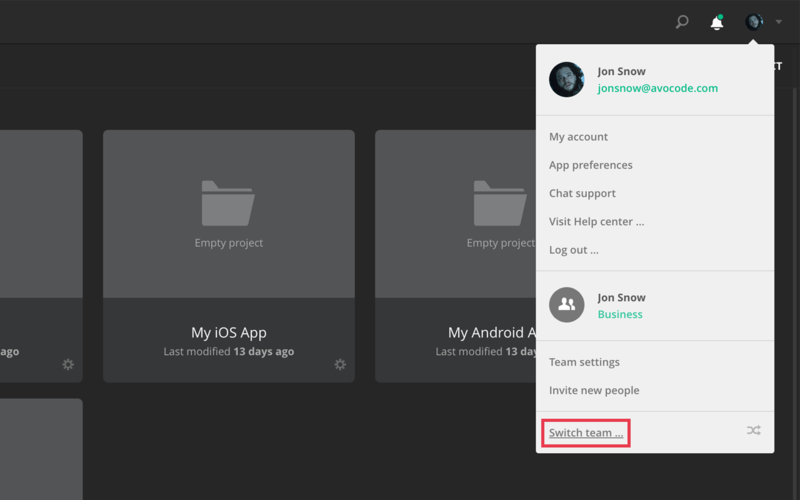 For example when you create an account, your personal team is automatically created. Then somebody can invite you to their own team and suddenly you are a part of two different teams. Now how do you switch between them?